Established in the year 2011, we, Raj Machines, are a noted organization engaged in manufacturing and supplying a broad array of Clay Brick Machines. Under the offered array, we provide Manual Brick Making Machine, Automatic Brick Making Machine, Diesel Engine Brick Making Machine and Automatic Clay Brick Making Machine. The offered brick making machines are known for their longer service life, robust construction, facility of safety switch, single drum running, self alignment pedestal, high efficient & capacity, low power consumption and easy maintenance. To ensure that our offered brick machines posses aforementioned features, we manufacture these by making use of high grade raw material and other components, sourced from the most trusted vendors of the industry. Moreover, while manufacturing these brick making machines, we stringently adhere to universally accepted quality norms. Post production, we make these machines pass a stringent quality test to ensure their peerless standards. For the satisfaction of patrons, we also design these brick making machines as per their given specifications. We have hired proficient workforce that has skilled and experienced professionals. These professionals specially interact with patrons so as to clearly understand their required specifications. Moreover, they make use of only quality assured raw material and other requisite components in the manufacturing process of offered brick making machines to ensure these are able to serve patrons for long. Apart from this, by making use of modern machinery and latest technology fitted at our infrastructure, these professionals design the offered brick making machines as per the evolving trends of the industry to ensure their ability to meet the requirements of patrons. Our infrastructure is widely stretched, owing to which these professionals are able to carry out various process under one roof with ease. Further, with an aim to avoid any hassle affecting the growth of production process, we have segregated our infrastructure into different units as manufacturing, quality testing, warehouse and R&D department. We have installed these units with advance machines such as bending machines, welding machines and power press machines. Our professionals also take the responsibility of updating these machines so as to maintain the swift rate of production. Supported by a spacious warehouse, our professionals are able to deliver the array at patrons' end within minimal time frame. With the support of our mentor, 'Mr. 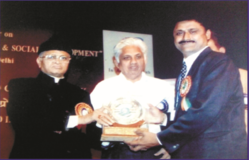 Alkesh Naik', we are able to efficiently manufacture the offered machines as per the evolving trends of the industry. He has deep industrial knowledge and follows transparent business policies, due to which our client base is augmenting at a rapid pace. Manufacturing and Trading of Brick Machines. We are leveraging on the support of our proficient workforce, which includes highly competent, talented and qualified professionals. These professionals have vast industrial knowledge using which they manufacture the offered array of Clay Brick Machines as per the contemporary trends of the industry. Moreover, they make use of high grade raw material and other components, sourced from reputed vendors in the manufacturing of offered machines to ensure these comply with globally laid quality norms. ACHIEVEMENT : DUE TO CONTINUOU R & D EFFORTS... First time in textile processing industries developed ultra low Liquor ratio, six segment design in fabric dyeing machines. Developed sheet forming economical as well as universal flanges. Developed Beam Dyeing Machine with online reverse/forward pump. Developed liquor bypass system in fabric dyeing machine. First developed flat screen washing machine twin chamber twin filtration system. First developed High Production Capacity open width "J" Box For Cotton Fabric - Bath. Developed twin drum mango pulp machines. First time developed 2000 no. / hr, successfully running clay brick machine. First developed semi automatic clay brick machines, which capacity 2000-2500 no/hr.